But adding to the greenhouse greens picture are new players in the industry. 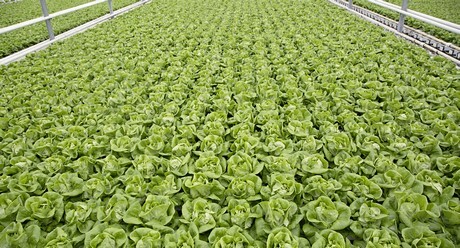 “There are new entrants and expansion of greenhouse acreage lettuce both in Southern Ontario and south of the border,” says Fournier. “It’s my understanding that some have also stopped growing lettuce due to lack of market or issues with quality.” Fournier adds that greenhouse lettuce though largely competes with cheaper field lettuces, hailing largely from California. “Demand for greenhouse lettuce comes from retail, particularly those wanting higher quality, fresher, local product and foodservice which focuses on local food and premium quality,” she says.